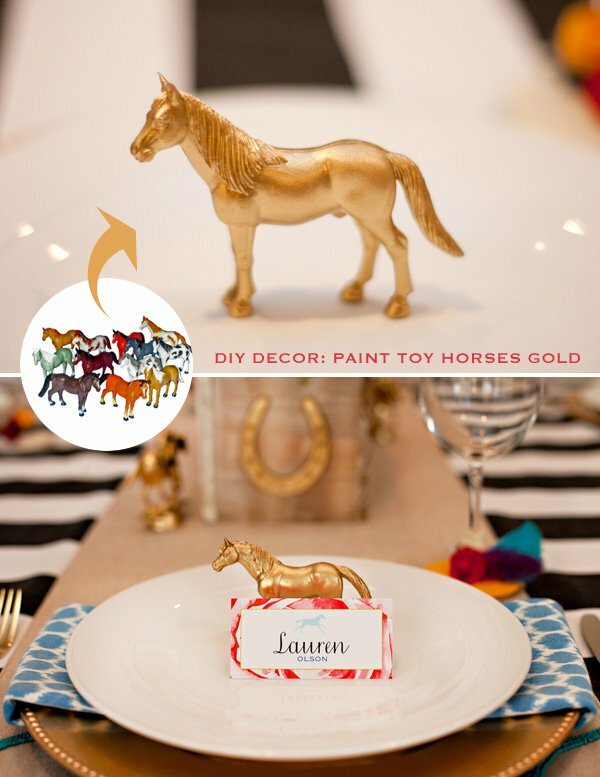 In a nutshell, you’ll need horse/jockey elements + a nice shade of metallic gold spray paint. The shade and finish of gold is important because it really affects the look of your finished pieces. 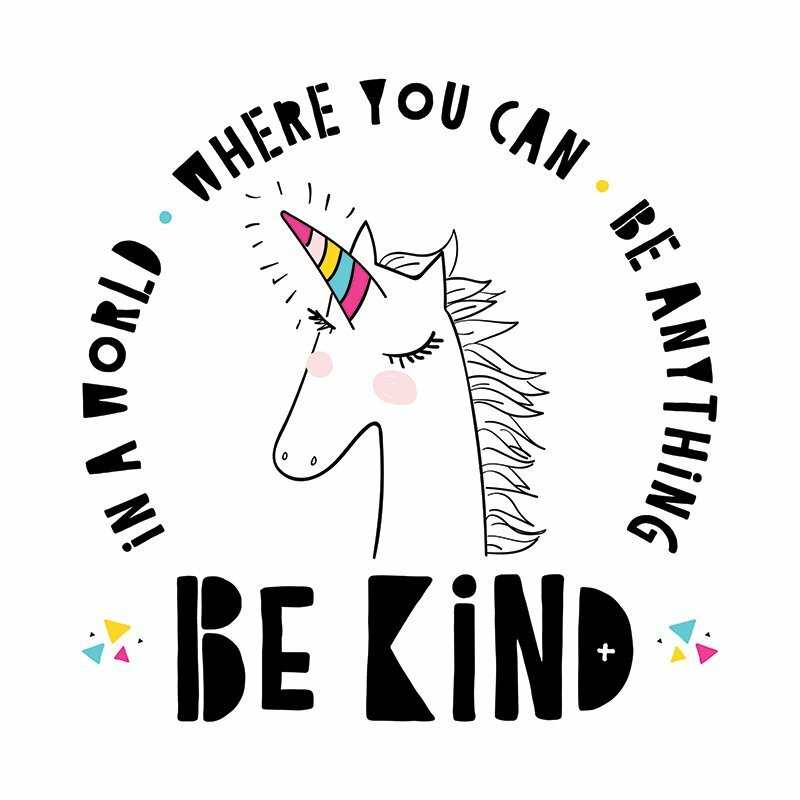 And I do mean REALLY. I like Design Master’s Brilliant Gold, which has a lovely matte satin finish and isn’t overly yellow or magenta. 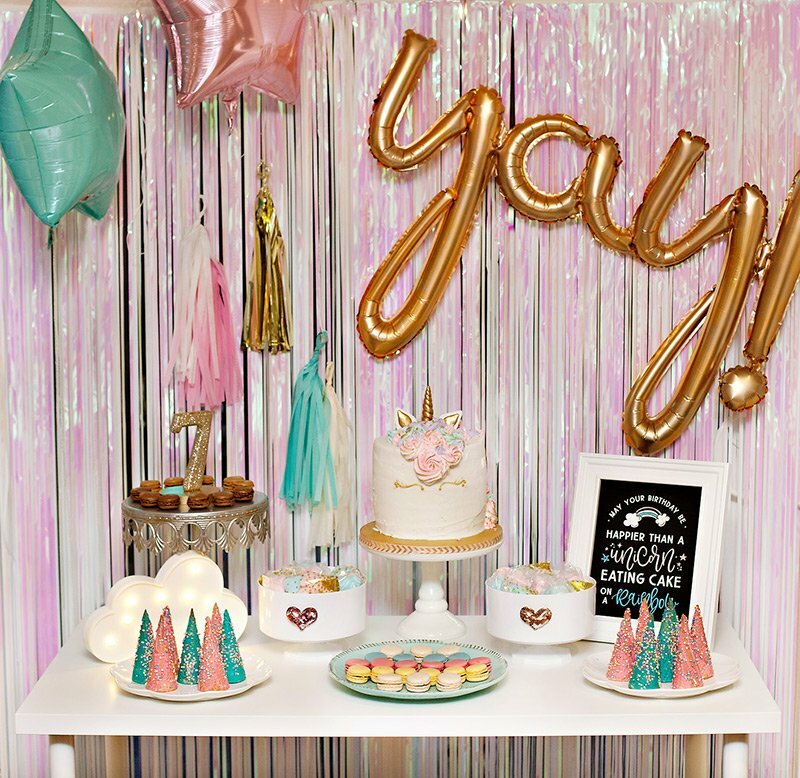 As I mentioned earlier, this concept is super easy, but I think the images below will help to convey how very effective these metallic accents can be, as well as give you some good ideas for incorporating them into your own Derby celebrations at home. And, away we go…. 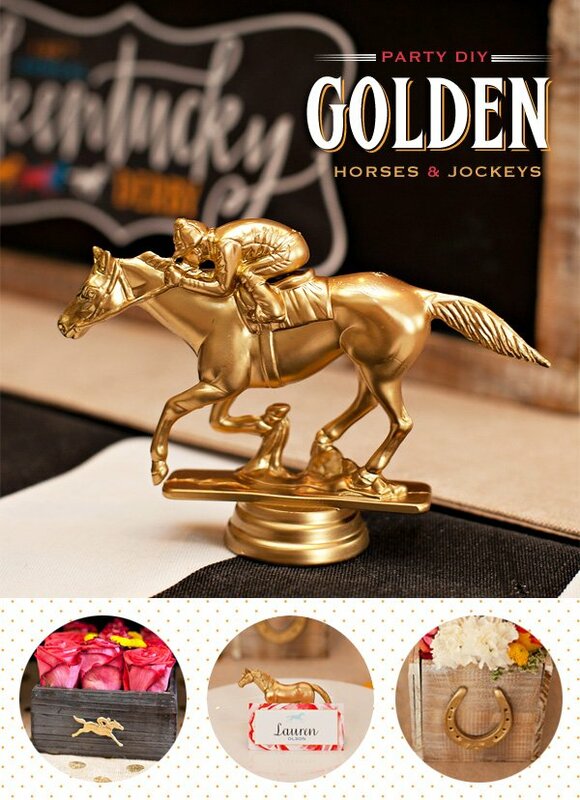 The horse head bookends pictured above were a find I scored at HomeGoods last year. 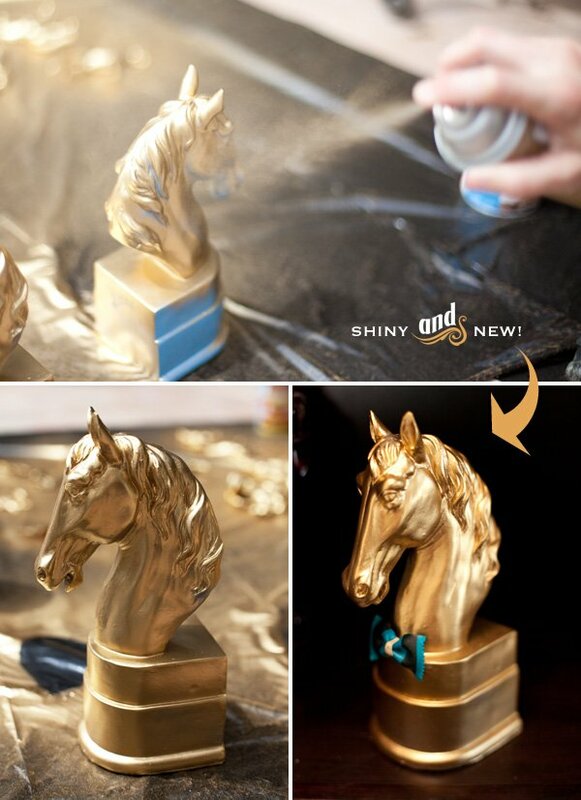 Although originally black, they made their first cameo as blue horses in our Preppy Paddock Party, but covering them in metallic gold this time around gave them whole new, dressier look, which I personally think they wear quite well. 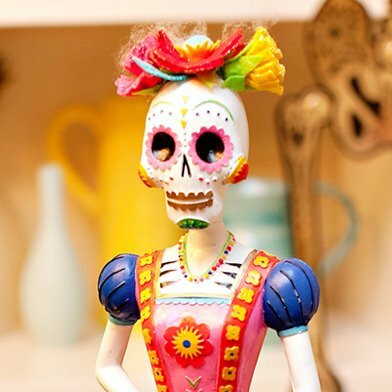 You can give a similar makeover to any sort of horse statue or home accent, regardless if its original color, so remember to look past that when shopping! 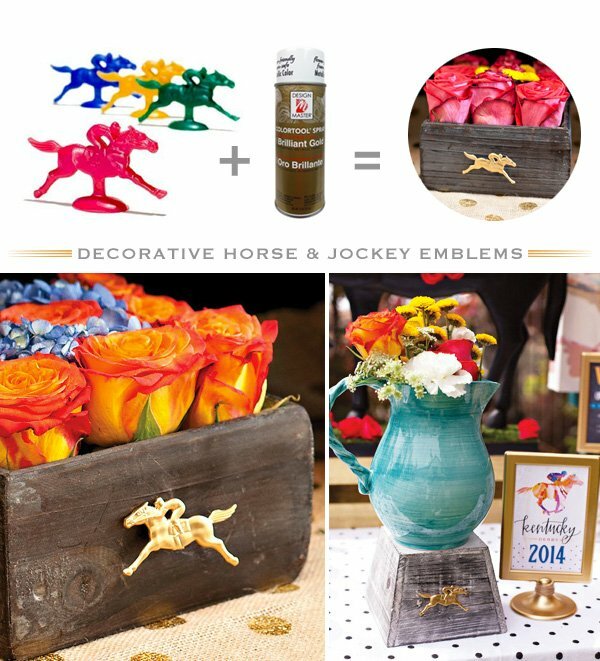 For this project I painted these 2.5″ plastic horse & jockey figures gold, then removed the “stems” with a wire cutter so that I could use them as flat emblems on vases and containers. (The “stems” break off quite easily, so even simple pliers would probably do the trick.) It was just the hint of Derby that the flowers needed! 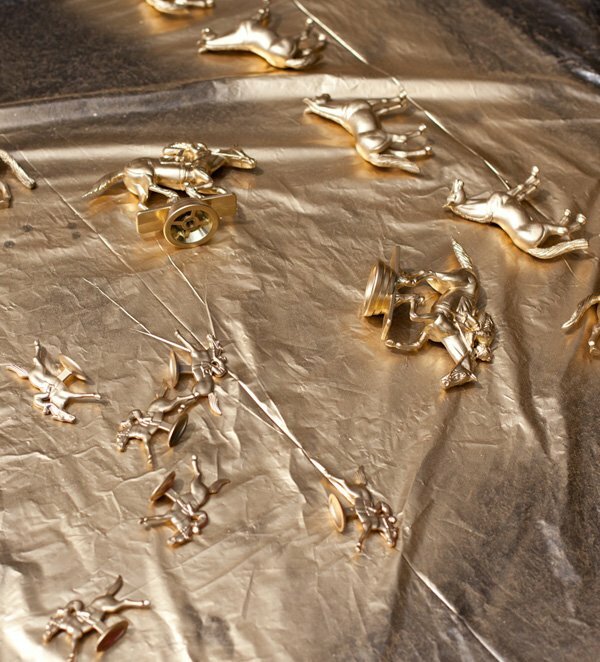 These shiny little horses are one of my very favorite tabletop details, and very theme-appropriate! 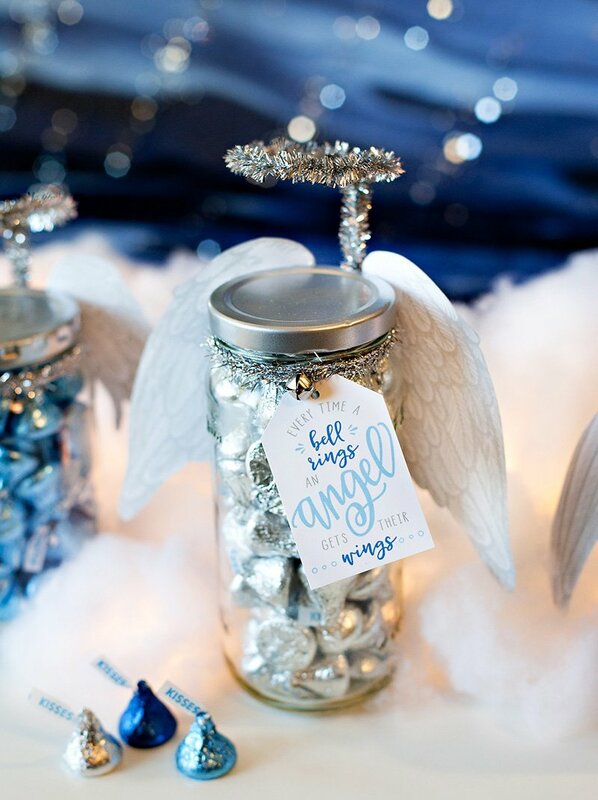 I simply set the printable place cards in front of them to keep things easy, but you can also take the DIY a step further by drilling tiny holes in the top of their backs, then inserting little wire spirals to utilize them as traditional place card holders. While I do like the rustic look of stamped iron horseshoes, giving them a coat of gold really brightens things up for the occasion! 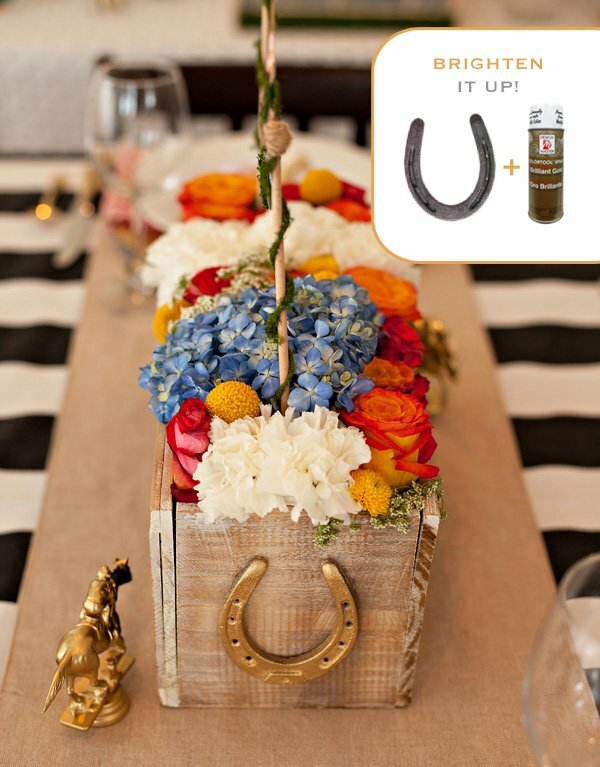 I used these metallic gold horseshoes as table and wine bar accents. 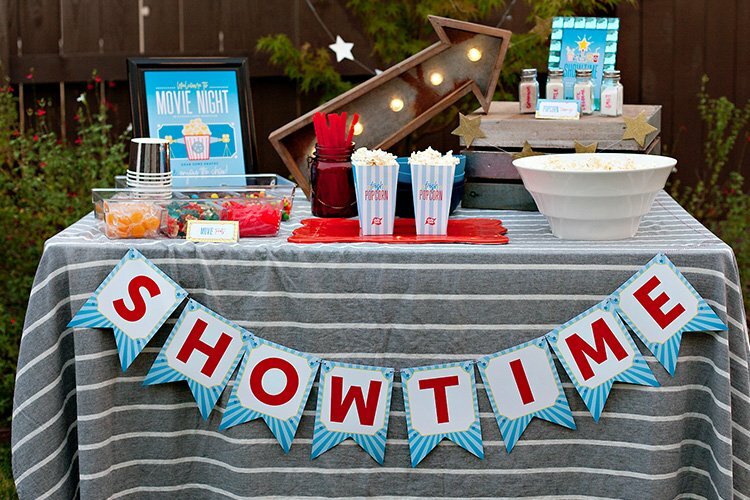 I hope these ideas inspire you to deck out some decor at your own Derby celebrations! 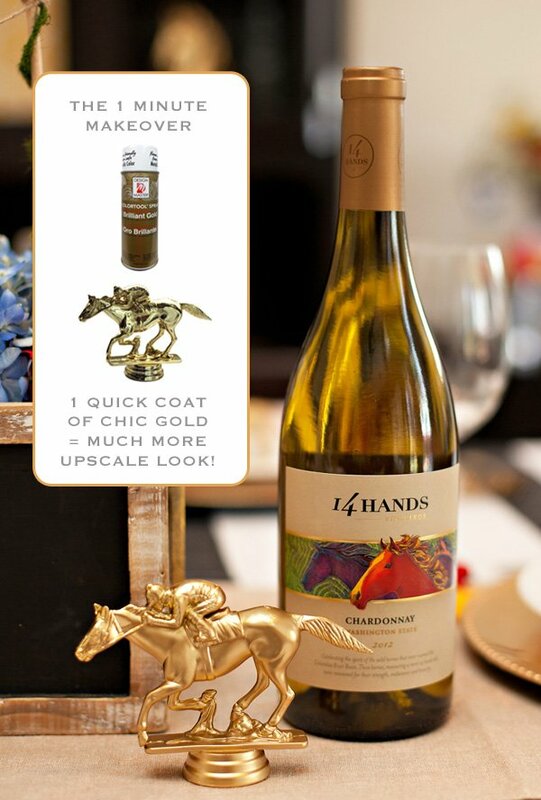 Stay tuned for more party inspiration coming soon, and click here to see all of these ideas in use at our own Kentucky Derby® Garden Party with 14 Hands. Cheers! FABULOUS! Thanks so much for telling what that paint brand and color are…perfection! Beautiful work! Can you tell me the names of the fonts you used? They are so great!